We actually did follow through after Free State Social and start a local social media group. 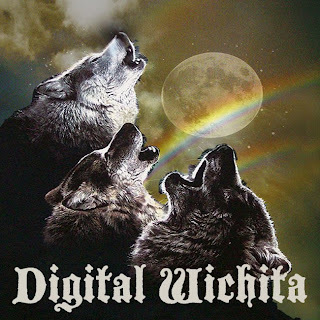 It's called Digital Wichita and we're now the prairie outpost of Social Media Breakfast, meeting at 7:30am on the third Wednesday of each month at Mead's Corner. We've had three or four meetings thus far, launched our Digital Wichita Facebook group and a dedicated site is forthcoming. Yeah, we could probably use some new blood. If you're in the Wichita area and have an interest in social media, please try to stop by a Digital Wichita meeting. We'd love to have you in our pack! I love your logo and the "new blood in our pack", you crack me up :) But congrats for getting more officially organized even though you already were active! Nothing beats a wolf pack!